The Goryeb Children's Hospital in Morristown, New Jersey has been providing pediatric care for ten years. 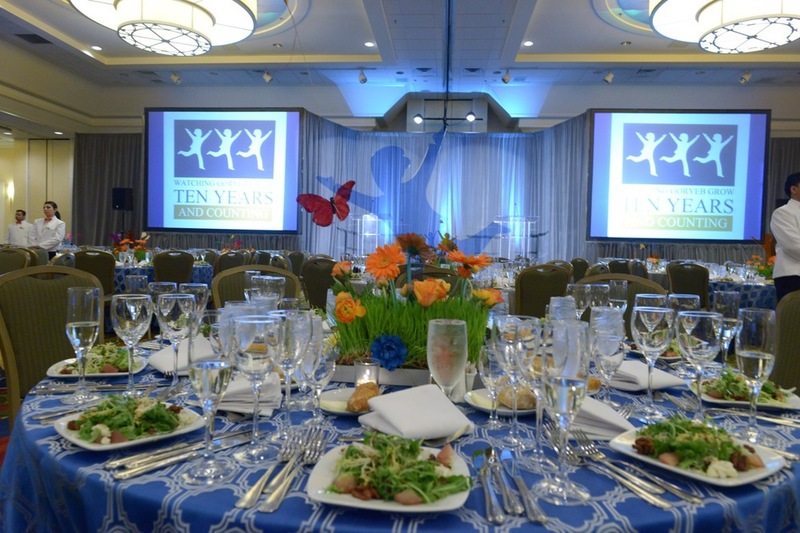 To celebrate their tenth anniversary, they hosted a fundraising gala featuring celebrity Top Chef contestant Fabio Viviani. Fabio visited children at the hospital during the day, then spoke to the audience that night about the impact the children made on him and the importance of advancing children's medical care. 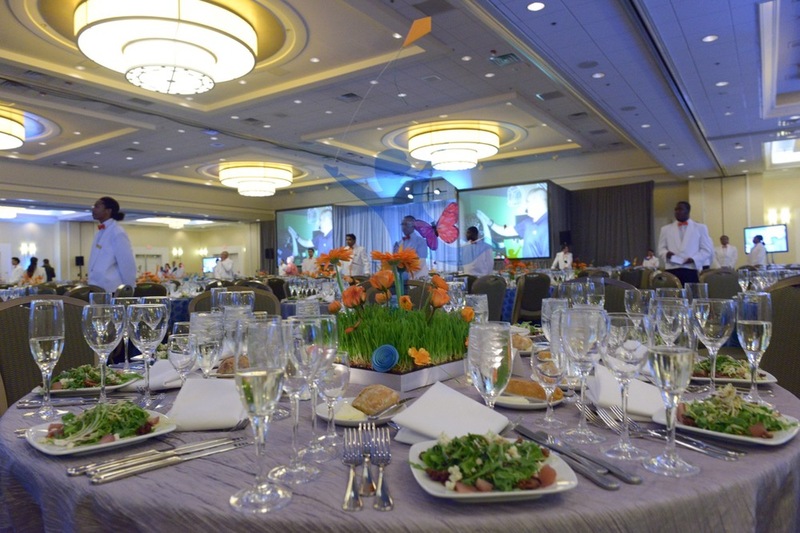 Eggsotic Events collaborated with event planner Faith West Gorman of Faith West Events to create custom centerpieces featuring Goryeb's logo. We built square wooden trays to act as the foundation. We then used live grass and custom-cut acrylic shapes to create a scene of a child leaping through a colorful field. The result was a whimsical, one-of-a-kind centerpiece that reinforces the hospital's branding and adds color to each table without blocking conversations and sight lines. We love the results and look forward to doing more custom acrylic projects in the future. All photographs are shared courtesy of Sal Benedetto Photography.